A month after releasing 60 new Timeline apps, Facebook touted initial results showing big increases in sign-ups and traffic for sites including Pinterest, Foodspotting and Fab.com. The lifestyle apps that went live last month followed Facebook’s launch of Timeline in September. The Open Graph platform allows developers and brands to create apps that integrate with the revamped profile page. Through Open Graph, any verb like “reading,” “watching,” or “cooking” becomes an automatically broadcast activity through Timeline, once a user gives a particular app permission to share that information. The idea is to go beyond the one-size-fits all “Like” button to let users post updates about various activities. That, in turn, would help boost engagement for brands with Timeline apps. So far, things are going according to plan, says Facebook. 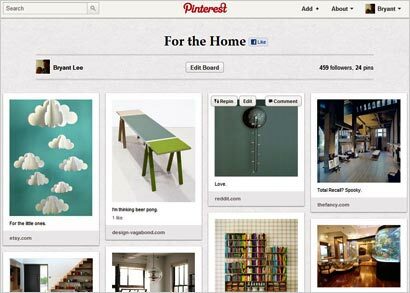 Product-bookmaking site and new social media darling Pinterest, for example, has seen the number of Facebook visitors grow by more than 60% in the last month. Flash sale site Fab.com has had a 50% increase in Facebook traffic, while fashion app Pose has had fivefold growth in daily Web sign-ups. In the food category, the Foodspotting app has enjoyed a threefold gain in visits and activities shared as a result of people telling friends about dishes they want, tried or ate with others on Facebook. Recipe site Foodily has seen a fourfold increase in new users. In the entertainment area, social browser Rockmelt has been able to drive 20% new traffic and users to its site, and Artfinder has seen a 60% increase in time spent on the collector site. Among the first batch of Timeline apps that let people tell friends what they’re listening to, Facebook said music apps like Spotify, Songza and Deezer have collectively allowed people to share more than 5 billion songs. The company said it has approved hundreds of new actions for Open Graph apps in the last month, with brands like Vogue Paris, Votizen, Identified, Boxee, MetaCafe and Shopkick introducing new offerings in recent weeks.